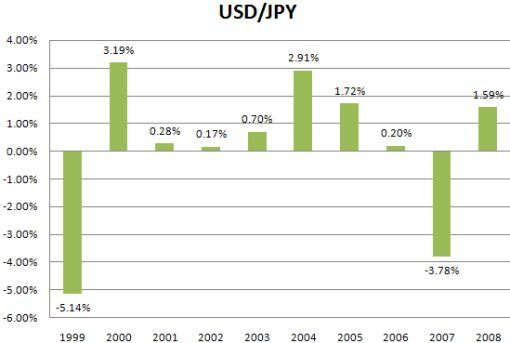 In 8 out of the past 10 years, the U.S. dollar appreciated against the Japanese Yen in the month of July. Based upon seasonality, we could expect further strength in USD/JPY. July is a very unique month in the currency market because not only do we have strong cases of Seasonality, but it also happens to be the worst performing month for certain currencies. Take a look at Which Currency Pairs Perform the Worst in the Month of July?